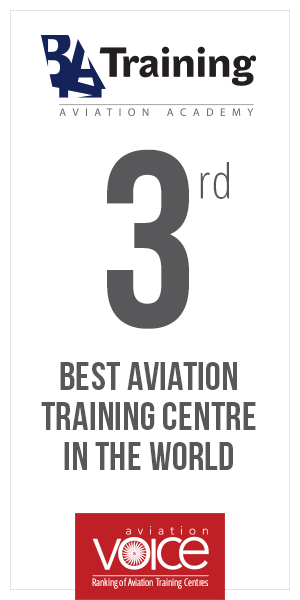 Baltic Aviation Academy has opened up the admissions for ATPL Integrated group which is going to start on August 3rd! In order to give everyone who has always wished to be a pilot a boost to initialize the application process, we are starting an article series about the application process, human factors involved in the process and most important things to know about ATPL Integrated license. The assessment test for starting ATPL Integrated course is not easy, but it should not be something that repels you away from pursuing the career of your dreams. Admission process involves the interview, COMPASS test that consists of Control, Memory, Orientation, Task-management, Technical, and Slalom Modules, English language evaluation and basic Math and Physics tests. We will cover the entire admission process in the upcoming article, so stay focused. For the first part of the series, we thought of writing about the tasks that everyone who wishes to become a pilot should go through before even looking for a training centre. So first and foremost thing that you must do is to go through a very honest self-assessment before filling out the application! Answer yourself honestly why you want to become a pilot and whether those reasons are logical and coherent to guide you as you move forward. Think whether it is only your childhood dream that is making you to pursue the career, or do you really have a deep passion for the aviation? Have you researched and weighted all the pros and cons of the pilot profession? Do you have a clear realization what the profession entails, what responsibilities and meaning it carries? We are not trying to say that you should’ve spent your whole life reading and learning about aviation, because you might be the best pilot even if you have only realized that yesterday. What we are trying to say is that you must have an understanding of the commitment and the amount of effort that it will take. The second variable to analyze before starting the application process is the scope of the profession. A lot of times, pilot job and duties are romanticized and portrayed in such a manner that can create a completely different image. In this day and age of the technology and information, which is accessible from anywhere, spend some time reading the scientific articles, forum posts from the real pilots, so that you get the real picture. Make sure that you understand what are the duties and responsibilities of the pilot profession. How the real pilot day does look like? What are the duties on and off the aircraft? What does it take to keep up the “good status” and up-to-date knowledge? Being very open with yourself and the relatives or close family is very important as they will be leading you along the way. Being honest will help to get into the right attitude and will keep up the positive outlook throughout the years of studies. One of the last segments to evaluate which will play an important role in the upcoming years of training is the personal dedication to the profession and the training process. Remember that you will have to go back to sitting at the school desk, attending classes, listening to lectures and spending long hours studying. Make sure you are ready to face that once again in your life. Are you ready? If you have the inner strength and courage to pursue this prestigious and well-respected profession, feel free to visit our website for more information about ATPL Integrated or to ask questions!